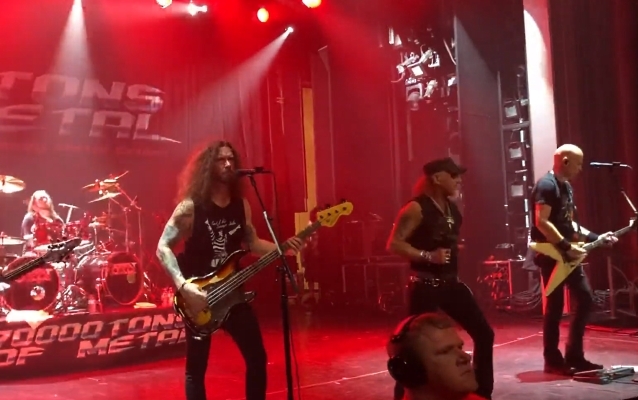 German/American heavy metal legends ACCEPT performed with a stand-in bass player, Danny Silvestri, aboard this year's 70000 Tons Of Metal cruise, which ran from January 31 to February 4. It sailed from Fort Lauderdale in Florida and headed to Labadee, Haiti, where it stayed docked for an entire day, before heading back to Fort Lauderdale. ACCEPT wrote on Facebook: "A huge Thank You to Danny Silvestri -(you all know him from our WACKEN SHOW 2017 and LIVE DVD 'Symphonic Terror') for helping us out for the 70000 TONS OF METAL Cruise performances! Danny is a mean Bass Player - always a pleasure to rock with him and a true friend who made our day!" Baltes announced his exit from ACCEPT in November. He said in a statement: "To all ACCEPT fans: I hereby like to announce my departure as bass player from ACCEPT. I have been with the band from the very beginning. Many of you have been there as well. I like to thank you all for the great years we shared together. Keep it metal." ACCEPT's founding guitarist Wolf Hoffmann commented: "We spent four decades together and went through thick and thin, ups and downs and I remember some incredible moments on stage. There was a blind understanding between us, personally and musically, that is very rare in this business! "Looking back, I will forever cherish the carefree early years, the countless hours we spent writing songs, goofing around or roaming the cities together on tour — just having a good ol’time! "Especially these last 10 years, after the revival of ACCEPT being so much fun and so successful that I thought we would continue forever and sail into the proverbial sunset together — maybe until one of us would drop dead on stage. But I guess I was wrong; it wasn’t meant to be. "I will certainly miss my musical brother! One thing is certain, however: ACCEPT will continue full steam ahead!" The group added in a separate statement: "We are all heartbroken! Peter needed a change in his life and we wish him all the best. He will always be part of the ACCEPT family and to honor his tribute to music history, we should all wish him well... Indeed, ACCEPT WILL KEEP IT METAL!" 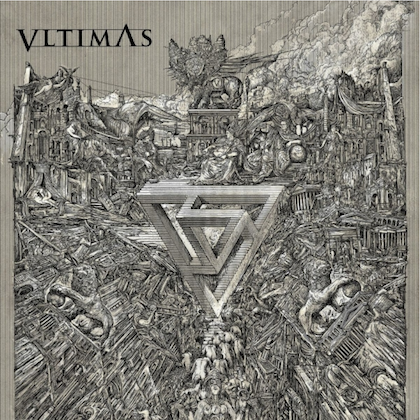 In a 2016 interview with Antihero Magazine, Hoffmann stated about his relationship with Baltes: "We've been working together for 40 years and hanging together and we haven't killed each other yet. It's quite amazing. We get along really well for the most part, even on tour, personally. We hang all the time. We go wander the streets when we're on tour. We have breakfast together and all that kind stuff. We meet for dinners even if we don't have to." He added: "Peter and I really have something like a bond, or whatever you want to call it, that's lasted all these years. That doesn't mean we always get along on every level. There's days when we don't see each other and keep the distance for a little while, but for the most part, it's been working really, really well and we write together really well. That's a rare thing, I know."